Acidic vs Alkaline | Gigi Vincentine Dr. TCM. Dip, R.TCM.P., R.Ac. Acidic vs Alkaline – Gigi Vincentine Dr. TCM. Dip, R.TCM.P., R.Ac. Posted on April 17, 2015 April 18, 2015 by Gigi Vincentine R. TCM. P., R. Ac. In Chinese Medicine, you will often hear things like “you have too much heat in your body, we have to cool your blood or clear heat from your liver and large intestine.” I’m continually fascinated by how much the Chinese Ancient Sages knew thousands of years ago without microscopes, MRIs, or blood tests. Does heat correspond to acidity? Yes, but not always. Both the Chinese Yin/Yang philosophy and the alkaline/acidic philosophy have one thing in common; Balance! One is not good or bad, they just need to be in balance. Yin and Yang need to be in balance just like our blood needs to be in balance at a Ph level slightly alkaline or about middle of the ph range 7.35-7.45. 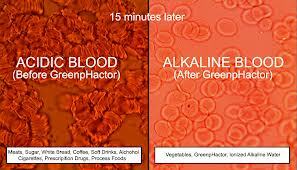 Qi and oxygen are produced and transported in our cells properly only if ph levels are within a healthy range. We have heard it before that disease lives in an acidic environment. Inflammation can only exist if we are acidic. Chinese Herbal Formulas and Acupuncture work to find that balance for you. Balancing your nervous system, endocrine system and elimination systems to reduce stress in your body and increase energy and well-being. Here are some quick and easy tips to alkalize your body! *Exercise not too little and not too much. Qi Gong or Tai Chi are perfect example of exercises that calm your nervous system and increase your oxygen carrying capacity. In my own clinic I often suggest more of an Asian diet for this reason. There are less acidic forming foods like meats, cheese and sugar, and more alkaline forming foods like vegetables, seaweeds, herbs, seeds and nuts. 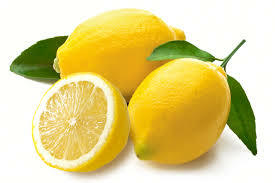 Remember we can eat some acidic forming foods. Research suggests about a 60% alkaline forming diet, although this depends on your constitution and the climate where you live. More vegetables it is! Previous PostPrice IncreaseNext PostSkin Care…and so much more!